For years I’ve struggled with the north side of my house, where, depending on the time of year, a plant may be in full sun or full shade, sitting in very moist soil or extremely dry ground. I have lost plant after plant but have slowly discovered true gems that will thrive while adding some stunning texture. So I present you with bristleleaf sedge (Carex eburnea), a little miracle worker for the trouble spot in your landscape. When to plant: Potted or bare-root plants can be planted from spring to fall. Distinguishing traits. I often get asked which grass works for shade, and I almost always turn to our native sedges — even though they aren’t technically grasses. Most true grasses would fare poorly in full shade. Bristleleaf sedge is a perfect low grower and, when planted en masse, mimics the lawn look in areas where lawn won’t grow. 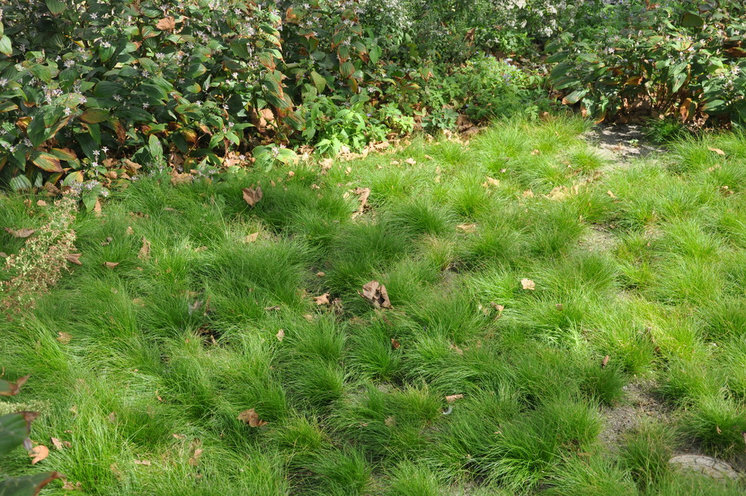 The bonus is that sedges green up earlier in spring than any lawn does. The seed heads are highly ornamental in early summer but don’t stay long. You also don’t need to mow it. How to use it. Bristleleaf sedge is a tough plant and is perfect between stepping stones or tucked in among gaps in a stone wall. Soft to the touch and a joy to walk on (use it in low-traffic areas), it adds a lovely bright tuft of green to shady locations in dry to medium-moisture clay or sandy soils. Planting notes. 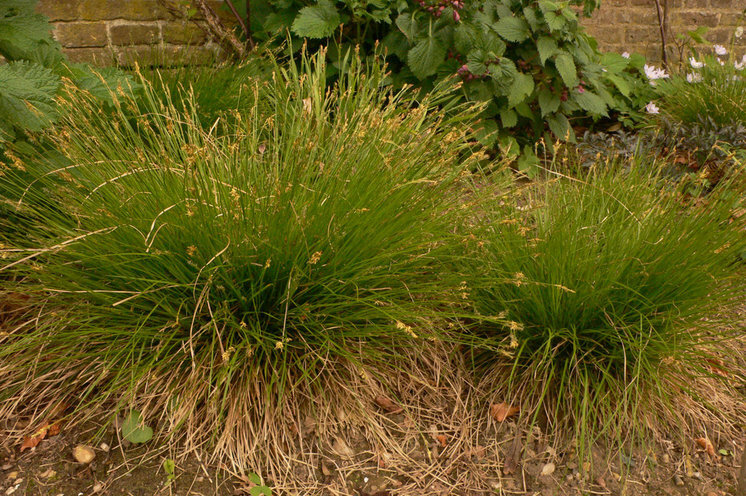 Bristleleaf sedge is happy being planted from spring through autumn. It may slowly form a small colony in ideal conditions: sandy soil that remains consistently moist but not wet, in 50 percent sun and 50 percent shade. It’s very adaptable, so try it almost anywhere — just remember, the more sun it gets, the more moisture it will need. 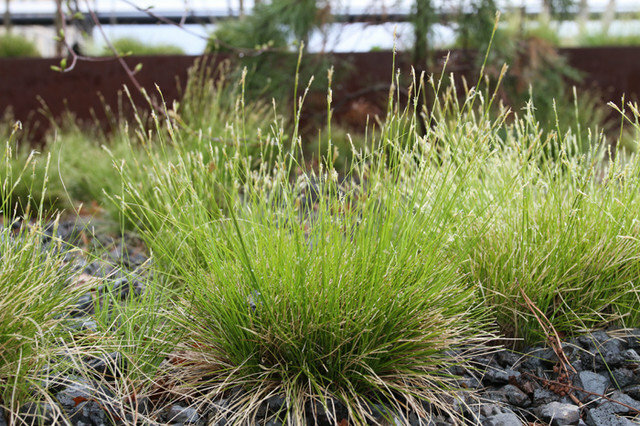 Bristleleaf sedge is shown here growing in Piet Oudolf’s planting for the popular High Line, an abandoned elevated railway in Manhattan that was transformed into an elevated walkable green space.